Manjaro Linux is a desktop oriented operating system which is based on the Arch Linux philosophy. Arch Linux distributions are independently developed operating systems and their primary focus is simplicity and ease of use. Arch Linux provides the latest stable versions for software applications. Arch Linux is simple yet powerful enough to be run on workstations and Servers. 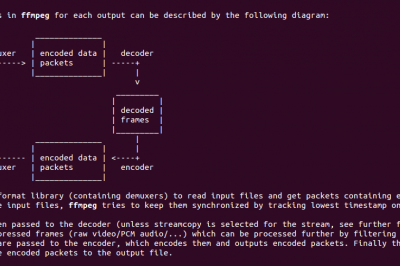 Typically, Arch Linux based systems don’t provide GUI configuration utilities, and most configurations are achieved by the use of command line or terminal. Manjaro Linux is an Arch Linux based OS but it offers much more features/ease of use as compared to the traditional Arch based distributions. We have listed some of its great features below. Manjaro Linux , despite being an Arched based system, provides a very intuitive graphical installation process. 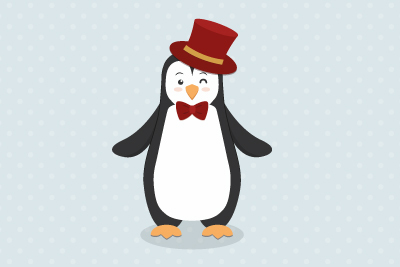 Installation process is pretty easy and users with basic know-how of Linux OS can install it quickly. 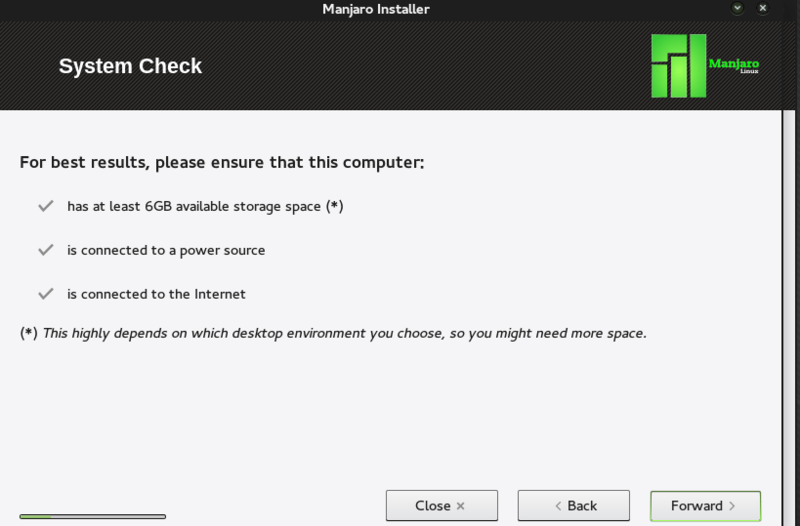 We will cover detailed installation steps of Manjaro Linux later in this article. Manjaro includes Xfce as its desktop environments, but users can install desktop environment of their own choice as well. This feature helps user configure their system according to their own needs and liking. 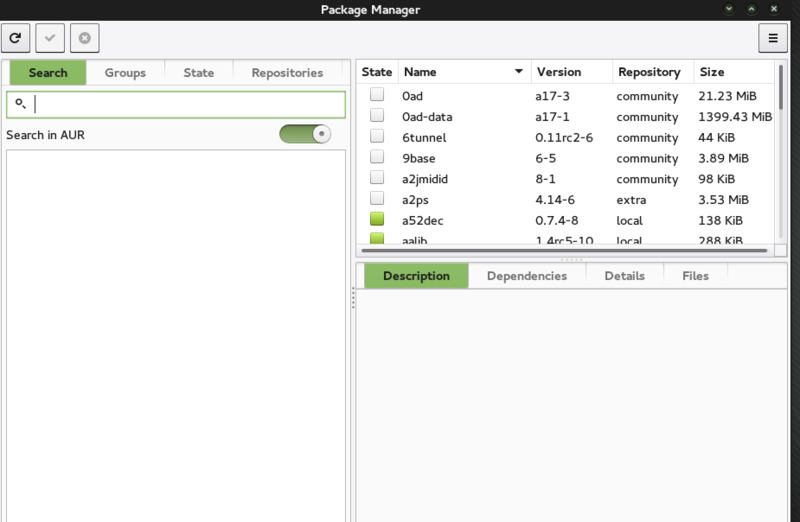 Manjaro includes Pamac as its default package manager. Pamac is pretty powerful application which lets user install, remove or update software packages within minutes. 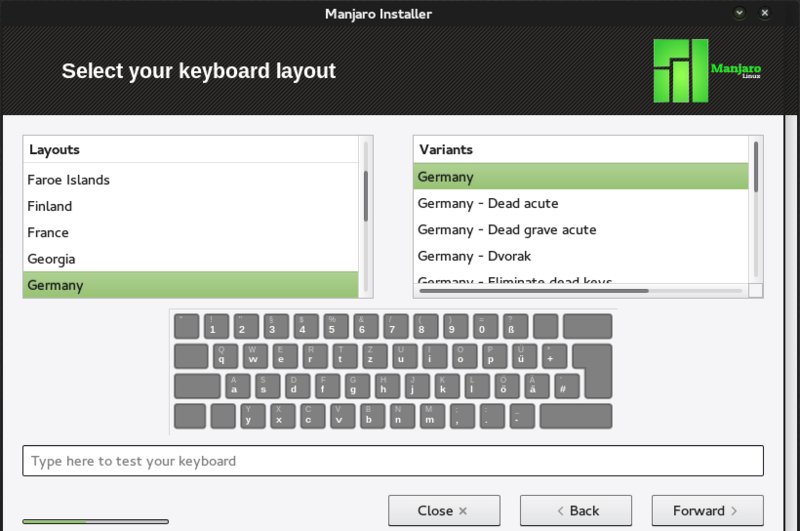 Manjaro offers a very user friendly graphical Setting Manager to customize settings related to Languages, User Accounts, Kernel, Hardware and Notifications.You can modify the look, feel and functionality of your operating system components from here. Like all Arch based systems, the Rolling Release mode keeps Manjaro on the bleeding edge. You don’t need to downgrade entire release cycle because of one or two bad packages. Manjaro Linux manages a wide range of packages for commonly used software applications. Let’s get started on its installation. 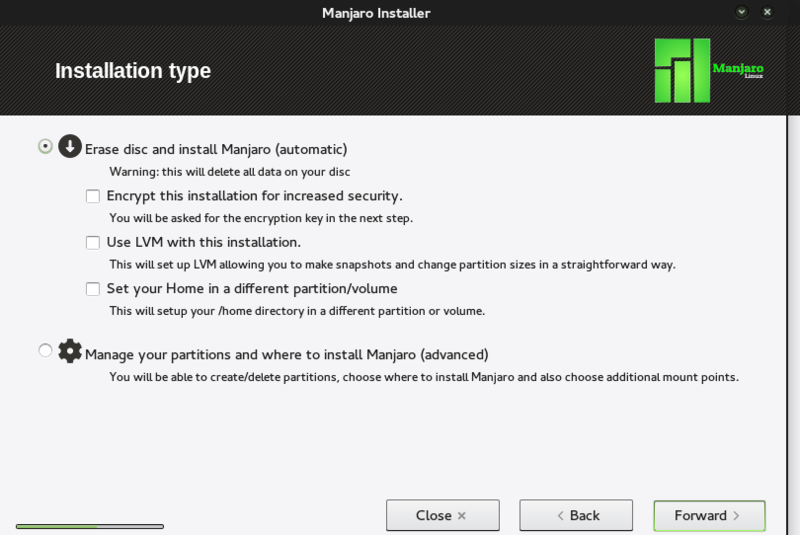 There are two ways you can initiate the installation process for Manjaro. Download Manjaro ISO file and burn it to DVD and boot your system from this DVD drive. 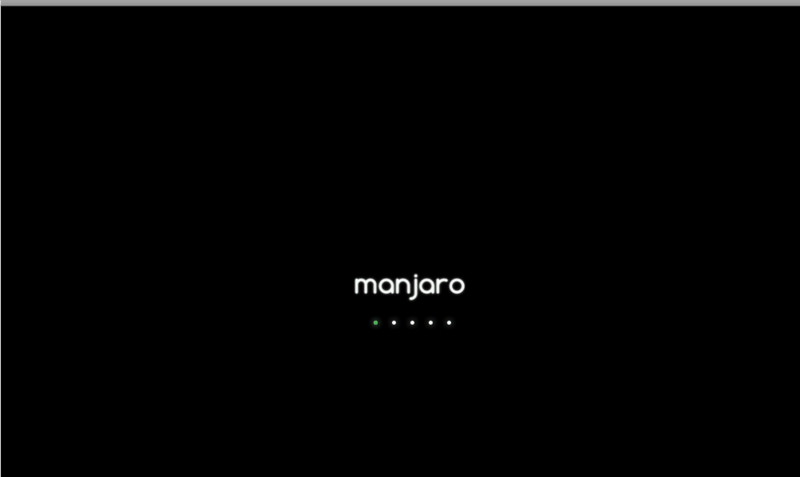 Regardless of the option you use, here is what will be the very first screen when you boot your system using Manjaro ISO. 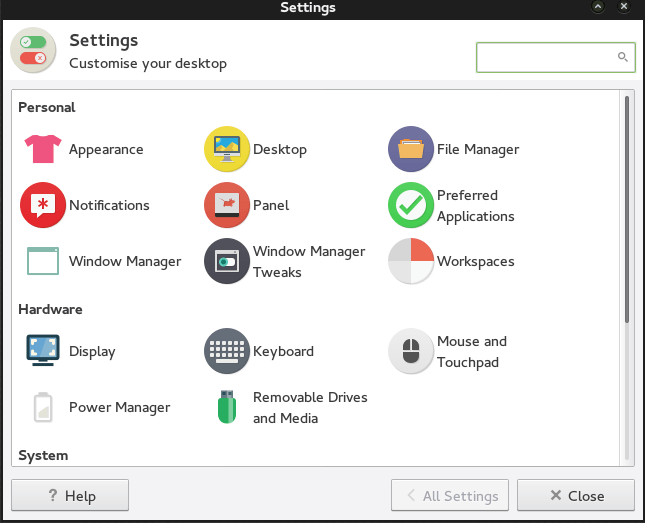 Choose “Start (Non-Free drivers)”option from above shown screen to initiate the graphical installation of the Manjaro Linux. This option is the most recommended as it boots using proprietary graphics drivers ( the drivers developed and owned by the manufacturers of graphics cards). 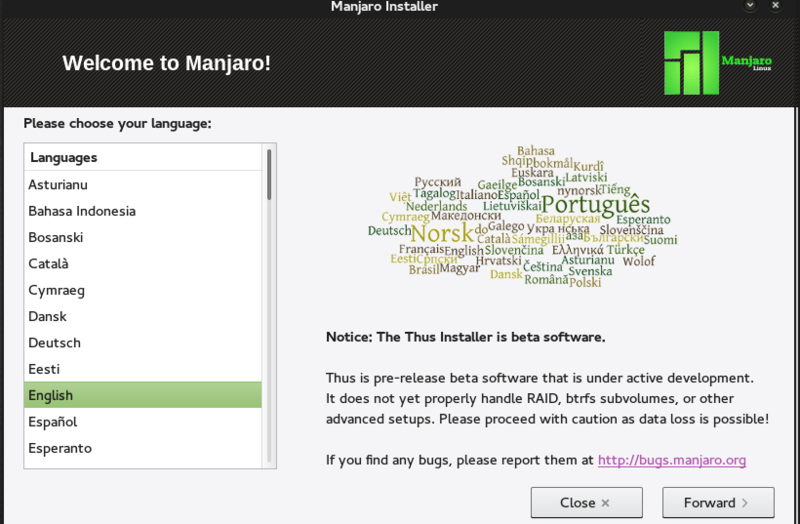 Click “Install Manjaro ” option from here. 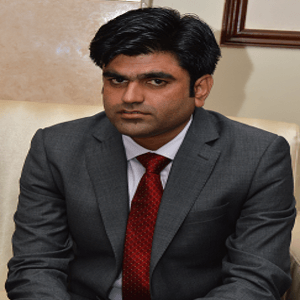 It will start the installation processes and will prompt you for some simple details. Choose your preferred Language ; hit “Forward” button once done. Select your location from here and click “Forward”. “System Check” window will be displayed; it will be listing requirements for the installation to proceed successfully, Please ensure all requirements are met and click “Forward” to move install to the next stage. Next step, “Installation Type” screen will let you choose how to move further with the installation on the disk. You can encrypt installation, use LVM or customize your partition settings from here. Hit “Forward” when done. On next step “Who are you” , you can specify your user account name and its associated password. Click “Forward” to proceed to the next step of the installation. That’s all, Installation process will start running now. 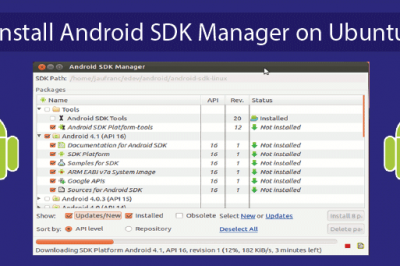 It has a nice graphical interface where you will be able to track installation progress. Once installation process completes, It will ask you to reboot your system once. Here is the desktop screen for your Manjaro Linux OS running XCFE as desktop environment. Manjaro is a very user friendly, full of features, stable OS which caters the needs of both normal home users and also server administrators. 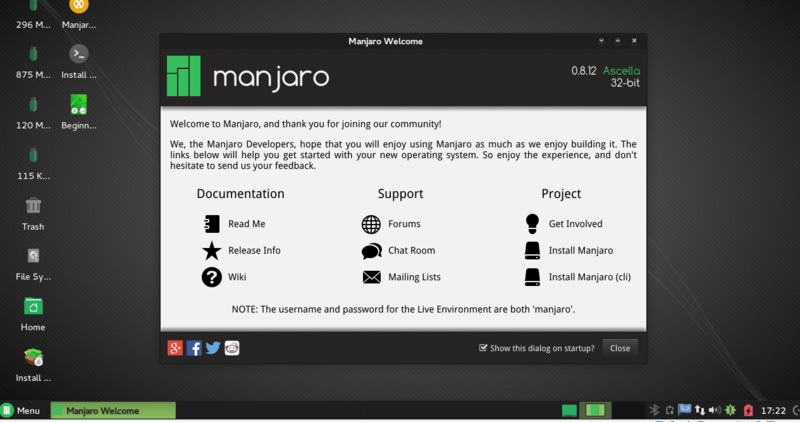 You can also learn and read more about Manjaro Linux from its forum and wiki pages. Enjoy!